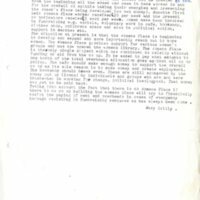 c. 1984 document about the workers in the Women's Place in Quay Co-op in Cork. Discusses the fact that one staff member is leaving and the arrangements for new workers. 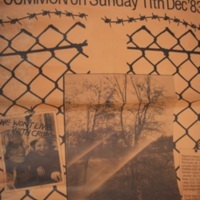 It also mentions plans for fund-raising. 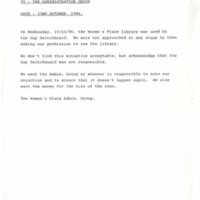 Discussion paper on administrative and financial arrangements between the Women's Place and the Quay Co-op. Part of ongoing discussions about these issues.